Christian Löffler, Laica, Mondkopf, Orphan Swords, Pan Sonic and more. Reaching the milestone of 150 shows has been at the very least an immeasurably interesting journey. 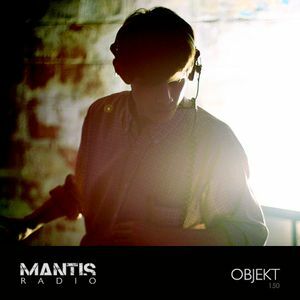 Marking the occasion we have huge pleasure in presenting an exclusive session from Objekt. TJ Hertz aka Objekt needs little introduction. Following his self released EPs back in 2011 Hertz has become a producer, remixer and DJ of cult like status. And rightly so. Before this session, new music from Pan Sonic, Broken Note, Blackmass Plastics, Ursa, Mondkopf, Draag, Shards and Orphan Swords remixed by Dwellings. He deserves it - he&apos;s one of our absolute favourites at Darkfloor. AWE - SOME - MORE - NOW!! !